Users can configure fields and pages of any component without touching the App Designer. Want to know how? 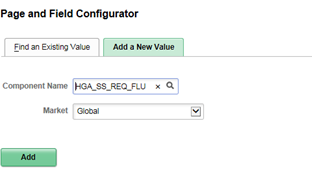 Use the Define Configuration page to define the page and field changes to be made in the selected component. Use the User List page and define the list of users to whom the configuration needs to be applied. 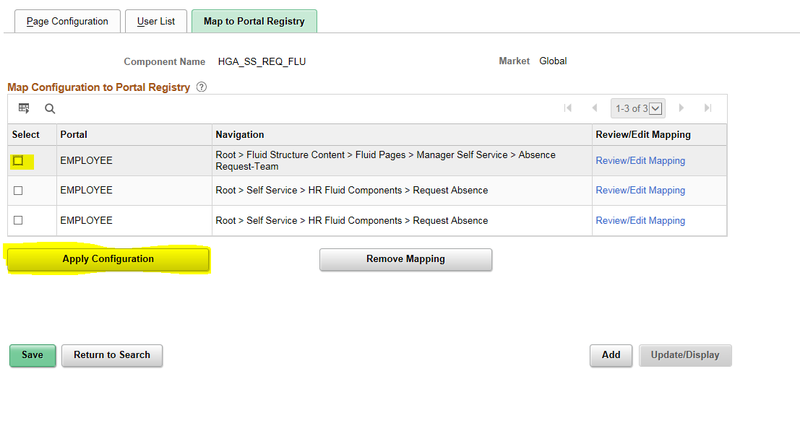 Use the Map to Portal Registry Page to map the configurations to the corresponding portal registry entries. Add a new value and select the component name for which you want to do the modification and give Market as global or as per need. Click on the prompt button to select the field to define the criteria. 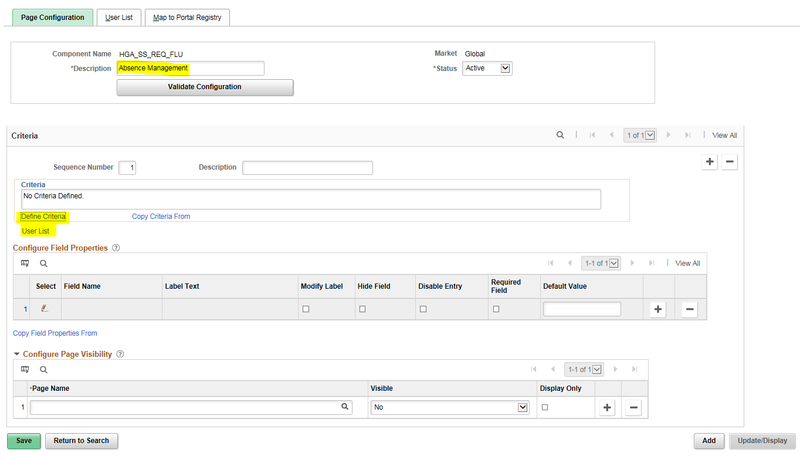 User can select a page from the component for which the criteria needs to be applicable. 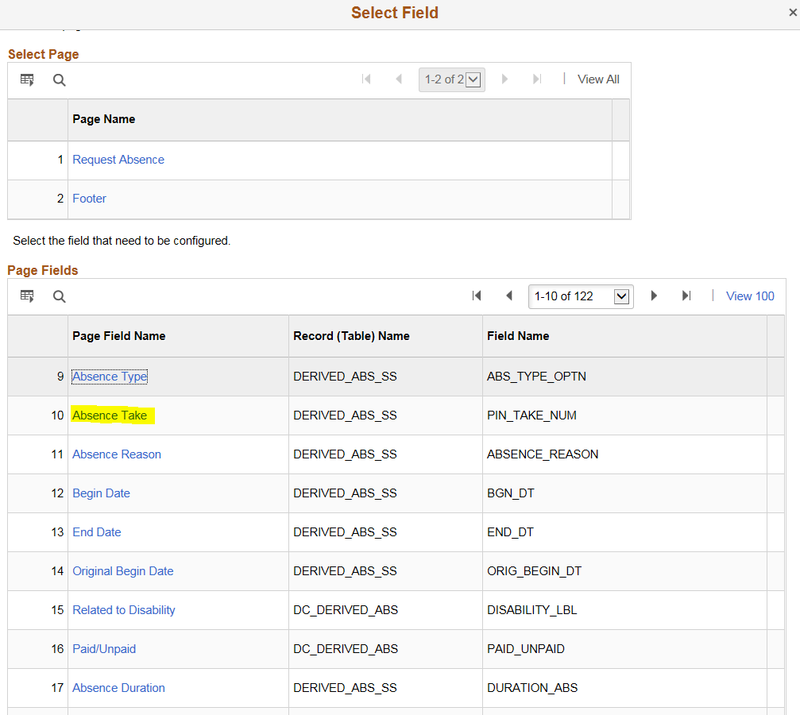 All the fields from the selected page is displayed in Page field section, user can select the field. For the selected field provide the criteria only for those fields the change will be applicable. As mentioned page and field configuration can be achieve based on security by selecting user list. Header Level – security will be applicable for all sequence. The configuration changes will be applied for the mentioned role. 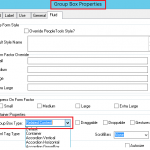 In Page Configuration tab > Configuration field properties section select a field to define the changes that needs to be configured. By selecting the options like Modify Label, Hide Field, Disable Entry, Required Field and Default value we can configure the changes. 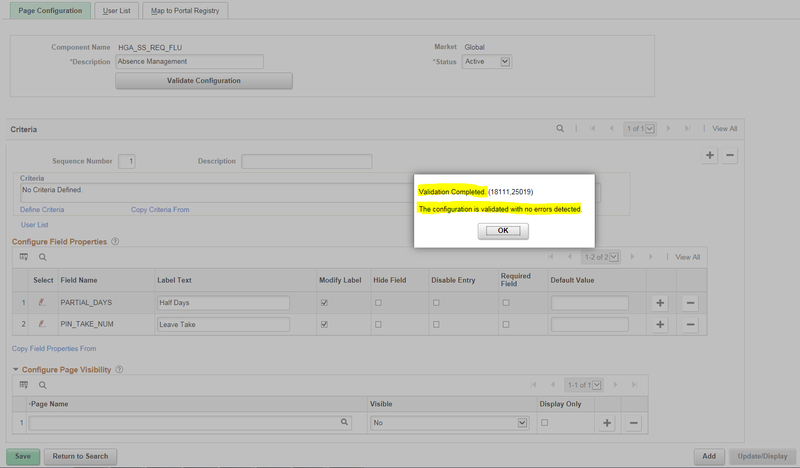 Once the configuration done click on the validate configuration button. 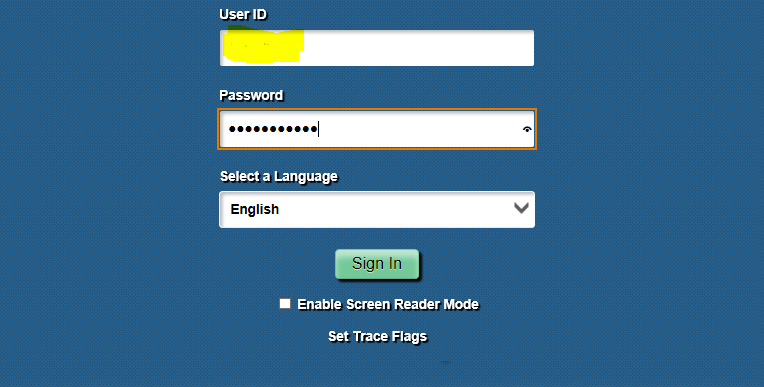 Step 3: Map to portal registry tab. 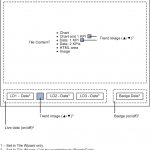 Once configuration are applied to component click on save. Now Login as an employee tagged to the role mentioned in the user list tab. Open the component to which the Configurations has been applied.